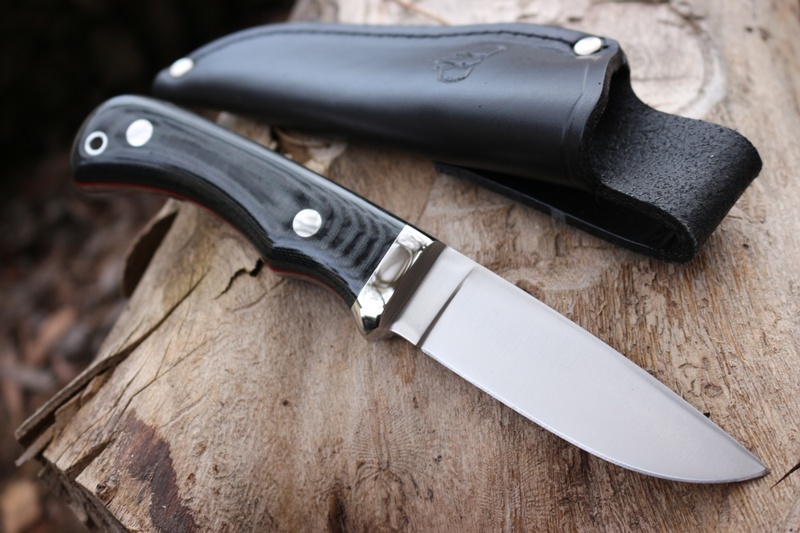 Really nice outdoors knife this, full broad tang, stainless pins and bolsters, Black micarta handle/Red liners with lanyard hole and the excellent MOVA stainless steel. 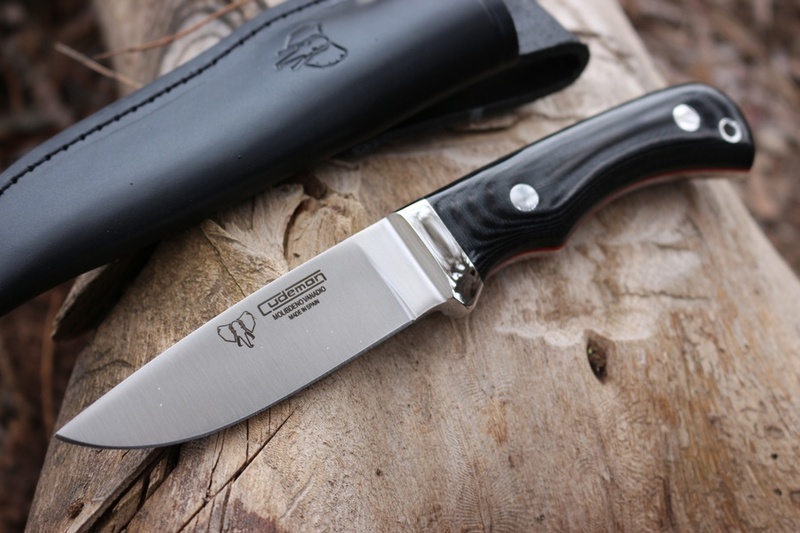 Beautiful grip and a pleasure to use this is a great outdoorsman's knife, 3mm thick spine with tapering blade, flat grind. 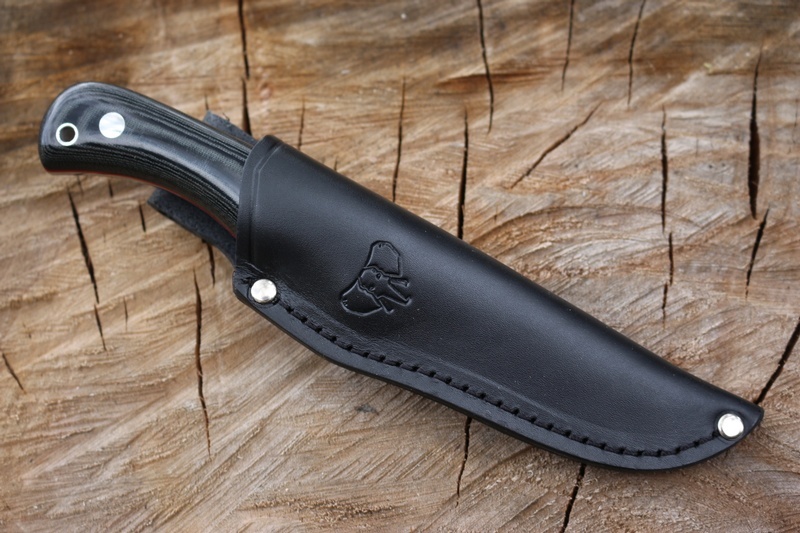 Comes with nice leather pouch style sheath. 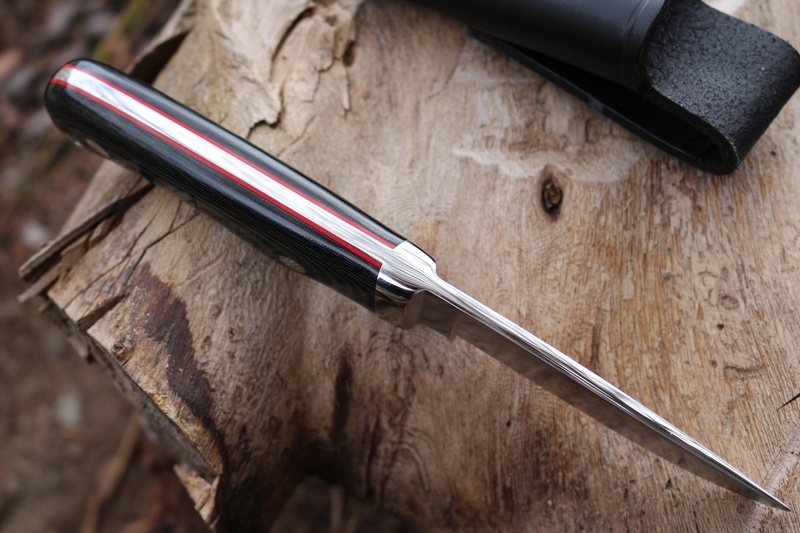 OAL 8inches, Blade 3 3/4inches. Flat grind MOVA steel 55-57HRC. Made in Spain. 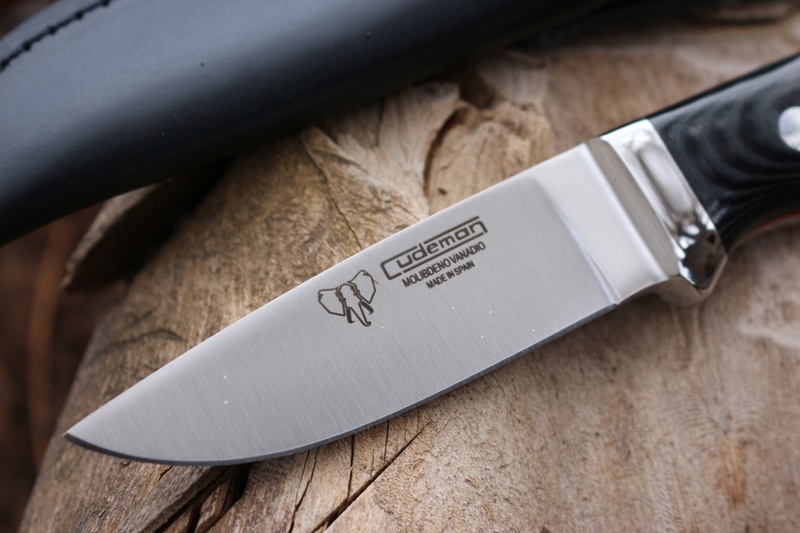 Purchase through PayPal by using the "Add To Cart" button above or use the form below to order the Cudeman Bushcraft knife . Feel free to contact us if you have any questions about the Cudeman Bushcraft knife .